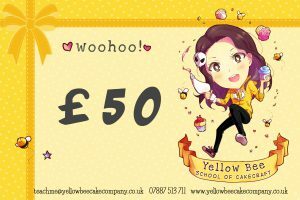 Treat that special cake obsessed someone to a £5 gift voucher. Expiry date is 2 years from purchase. Vouchers supplied with a logo card and envelope.